Rolling countryside, vibrant wildlife, and lush forests blend together to make the scenery of Connecticut absolutely beautiful. If you’re visiting this state, be sure to set aside some time to explore its great outdoors! There are a myriad of paths here, varying in length and difficulty, that are perfect for an enjoyable day of biking in the wonderful Connecticut weather. 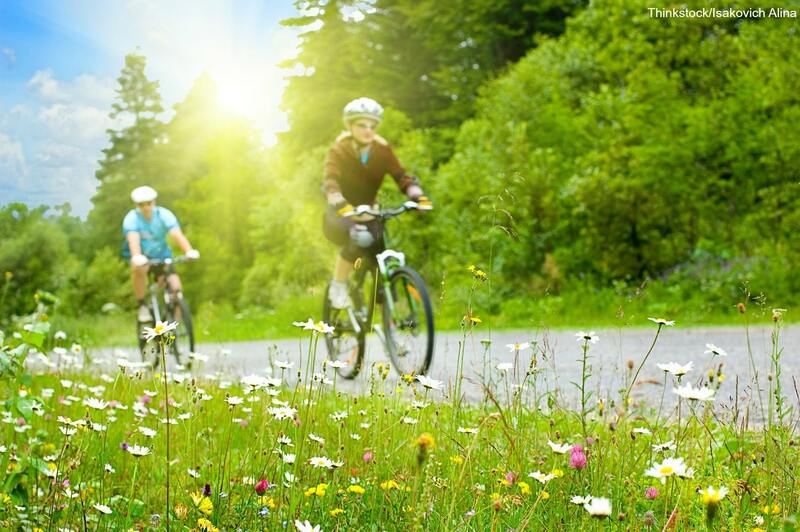 Discover the best bike trails in CT to make the most of your New England getaway! Grab your gear and head to one of the finest areas for biking in the state! The Denison Pequotsepos Nature Center in Mystic, CT, contains over ten miles of hiking and biking trails. These paths wind through forests and past hidden ponds, creating the ideal backdrop for a fun excursion. With a length totaling to almost 53 miles, the Air Line Rail Trail begins in the Northeast corner of Connecticut, near the Massachusetts border, and runs all the way down into East Hampton, CT. This gravel trail used to be the Air Line Railroad, which was established in 1873 to connect Boston and New York. Fly past towering hemlock trees and even catch sights of waterfalls upon entering the East Hampton area. Stretching for 25 miles along Connecticut’s Southern coast, the Shoreline Greenway Trail features all kinds of incredible sights, from marshes to beaches. The Branford Trolley Trail is a unique part of this path; this long footbridge passes by an abandoned trolley track, which is now surrounded by various types of wildlife. Over in Rhode Island is one of the most beloved bike paths in the Northeast! This smooth, paved bike trail, called the William C. O’Neill Bike Path or the South County Bike Path, travels through several towns and ends its 8-mile course near the Narragansett Town Beach. The paved Quinebaug River Trail winds along the Quinebaug River and over the Fivemile Pond before crossing into the town Putnam. If you wish to continue your course after this 4-mile journey, you can hop on the connecting Putnam River Trail. Prepare yourself for some exciting mountain biking in CT! The Barn Island Wildlife Management Area contains over one thousand acres of rolling hills, peaceful salt marshes, and colorful meadows that bikers can enjoy. You’re bound to see an abundance of birds and other wildlife within this lovely haven of Connecticut. 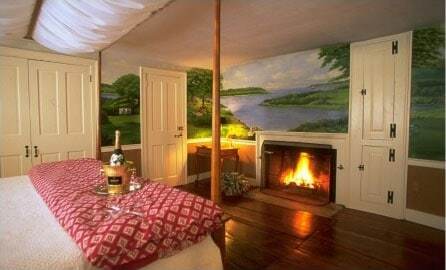 Complete your adventurous getaway to Connecticut by staying in the finest accommodations possible! 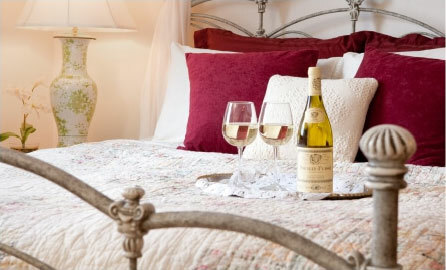 Stonecroft Country Inn is a cozy bed and breakfast tucked away in the charming waterfront town of Mystic, CT. Our luxurious rooms and fantastic amenities are guaranteed to meet your every need. Don’t miss your chance to have the trip of a lifetime; check our availability and book your stay today!